Social media is one of the fastest growing methods of online marketing, connecting the business to customers through conversations, engagement and deeper demographic targeting for advertisers. Our social media solutions vary from wholly managed solutions with posting, fan building ads and branding included to a la carte solutions depending on the advertiser need. 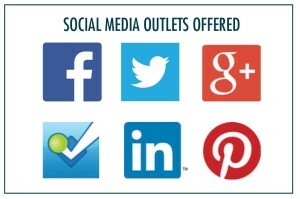 Social Media is becoming a more prominent way to gain new customers and to build engagement. With nearly 1.1 billion members of Facebook to date, it’s become a huge asset for businesses to engage and promote brand awareness to their existing customers and potentially new customers.